Home hair treatments are a great way to keep your hair healthy between salon visits. But as discussed in this post, there is science behind real results. Doing it correctly allows beneficial ingredients to penetrate deep in the hair strand, producing effects you can see and feel. Before diving in, it’s a good idea to talk with your stylist about the right treatment. When it comes to hair treatments, there are so many products to choose from that it’s easy to feel confused. Masks, serum, conditioners…matching a product’s purpose with your hair type and desired outcome is key. Let your stylist be your guide to narrow down the search. She can point you in the right direction and match you with the perfect product. Once your ready, follow these simple steps to bring out beautiful, healthy hair at home. Before applying any treatment, it’s best to be working with a clean surface. Find a deep cleansing shampoo to remove any product build up on your hair. This will create a “clean slate” that will better accept the treatment. A deep cleansing shampoo can be used prior to treatments or alternated with your daily shampoo about every 8 washes. 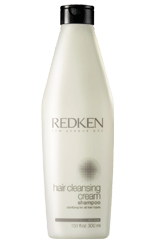 At Fix Salon, we love Redken’s Hair Cleansing Cream. It has a yummy citrus scent and a foaming lather for squeaky clean results. After rinsing out your shampoo, take the time to really towel dry your hair. This should be done by scrunching your hair in a towel, rather than wringing it dry. Removing the excess water gives the treatment more room to “live” in the hair. Hair treatments should be applied to the midshaft and ends of your hair first. These are the areas that benefit the most. Afterwards, you can apply a small amount to the hair near your scalp. If you tend to have an oily scalp, avoid your scalp area altogether. With most quality products, a little goes a long way. Make sure you cover the hair thoroughly and evenly, but don’t over apply. If you are stepping out of the shower while your treatment processes, put on a shower cap to protect your hair and your surroundings. You can buy light weight disposable shower caps from a beauty supply or better yet, grab the complimentary caps when you stay at a hotel. In addition to keeping things tidy during the treatment, bagging your hair provides the added benefit of trapping in heat. When your hair warms up, it expands, allowing for better absorption of the treatment into your hair. In addition to using the shower cap to trap heat, you can also stay in the shower for the processing time or sit in a warm place. Hair treatments are perfect when you are sitting at the beach or by the pool. The sun warms your hair for a better result. Be sure to give yourself extra time to rinse out your treatment. Treatment masks are typically heavier than a daily conditioner, so it requires more effort to get it out of your hair. If you do a quick rinse, you run the risk of leaving residual treatment in your hair, causing it to feel over conditioned and heavy. Treating your hair at home can be a fun, relaxing event that produces noticeable results. By using the right treatment in the correct way, your hair will look amazing. For best results, always use a professional salon product and save the avocados and mayonnaise for the sandwiches. This entry was posted in How-To's and tagged best ways to give yourself a home hair treatment, hair treatments, Home hair treatments, treating your hair at home by Mandy McCullough. Bookmark the permalink.